Today I'm happily welcoming fellow Virginia blogger Mia from The Chronicles of Chaos to the blog! 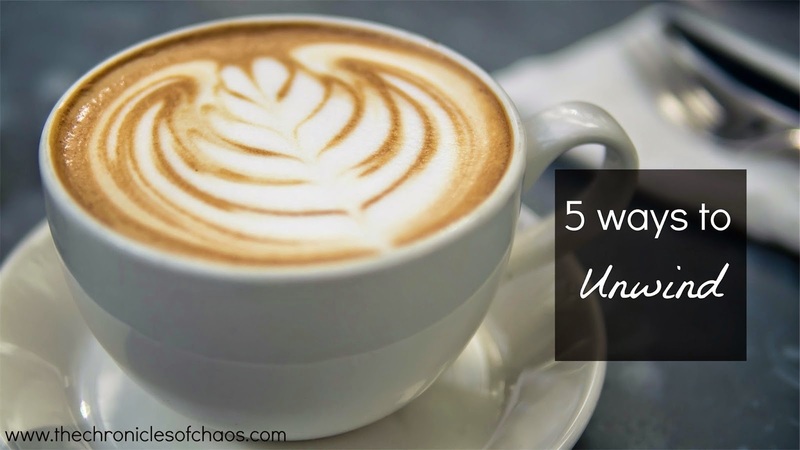 She has a fantastic guest post on unwinding for everyone. Take it away, Mia! I want to talk to you today about unwinding. Goodness, these days it seems like we're always moving at the speed of light, doesn't it? The hustle and bustle of every day with work, significant others, pets, blogs, trying to eat clean and work out - I'm exhausted just thinking about it all! With our busy lives, sometimes we lose sight of how important it is to slow down and take care of ourselves and recharge. Without further ado, here are 5 Ways to Unwind. OK, so I already told you I was a book nerd, so this shouldn't come as a big surprise. Sitting down to read a book, even if it's during your lunch break or before you go to bed, can help you relax. So pick up that book that's been on your shelf for months and dig in. If you need any recommendations, I bet I could help you out! I don't know about you, but there's nothing more relaxing than a nice soak in a warm bubble bath. Or maybe you're more a bath oil or bath bomb person - whatever floats your boat. Maybe light some scented candles. Drink a glass of wine, even. And just sit and let your aches and pains and stresses melt away. One of my favorite ways to unwind is to listen to some mellow, laidback music and relax. I like to lie in bed and close my eyes and sing along. Something about comforting music just makes me feel right at home. Go to the park and find a bench and just take in some fresh air. Look at the birds and squirrels. People watch. Or take a leisurely walk around your neighborhood. Even just sitting outside in your backyard can be relaxing. I realize this sounds overly simplistic, but really - sometimes the best way to unwind is to take a nap. A power nap, a long nap, whatever. Your body needs to recharge every once in a while. And when you wake up, you'll feel so much better! Anyway, I hope you utilize one of these methods of relaxation and feel refreshed! If you have some tips to share, leave a comment below! And thanks again to Katelyn for letting me "borrow" her blog for a bit. :) Feel free to come visit me anytime! Ciao!